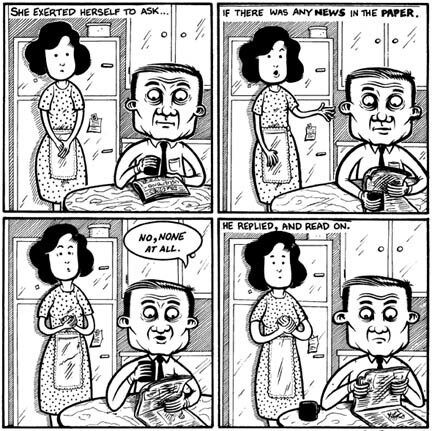 Comic strip for Seattle's STRANGER paper, which used to feature a strip titled, if memory serves, "Black and white and read all over." Every week was a different cartoonist, the only unifying theme was that it had to have something to do with the newspaper, anything. Measuring 8.5" 9". 1995.